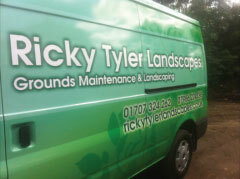 For over 15 year, Ricky Tyler Landscapes has been Westminster’s favourite garden care team. Whether you live locally and want to spruce up your front or back yard, or you run a London business and want to get your premises in ship-shape, we have all the experience, knowledge, skills and cutting edge equipment required to get the job done. 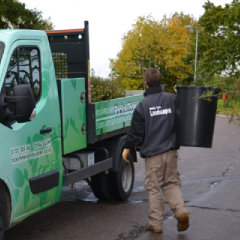 Our team is made up solely of highly trained, CRB checked specialists who arrive to your property in the distinctive vans and uniforms of Ricky Tyler Landscapes. This reflects the professionalism we stress every step of the way, from the moment you place your no obligation call to our customer service team, to the time the job is finished. For residential customers in Westminster, we offer an extensive garden maintenance service. From hedge trimming to lawn care and turfing, flower beds, mulching and more, we’ll provide all you need to give your homestead the perfect presentation. For commercial customers, we supply the best grounds maintenance London has to offer. Over the years we’ve tended the grounds for offices, hospitals, schools, hotels and local councils, and are trusted by companies all across Westminster to keep their premises looking elegant with commercial landscaping. One of the reasons we have stayed so popular for so long is that we are flexible. Whether you need a single service to bring out the best in your greenery or you want regular maintenance on your grounds, we are happy to provide it for you. You choose the services you want from our huge menu, which includes everything from cutting the grass to lining sports pitches, moss control, fence repair and more. All of which makes Ricky Tyler Landscapes the best team in Westminster and London for high quality garden care. Ricky Tyler Landscapes can provide gardening and grounds maintenance services including Westminster Grounds Maintenance covering Westminster, London .